Driving down the road no 23 from Zielona Góra towards south-west you reach Żary. There at the traffic circle you need to turn right towards the center and drive straight down the main road further on. At the next traffic circle you need to turn left towards Mirostowice Dolne (Jan Paweł II Avenue) and after covering around 300 m the castle will be visible on the right side. 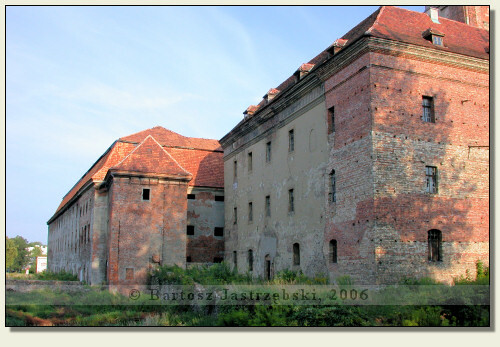 Żary, located on the historical grounds of Dolne Łużyce, belonged to the family von Pacek from Miśnia since 1280, who erected knightly residence there. 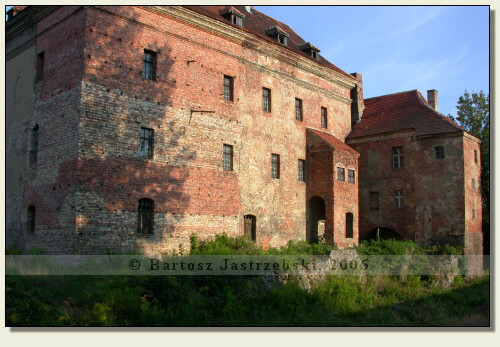 In the subsequent years various knightly families ruled Żary, till 1355 when it came into von Biberstein's hands, who erected the castle, called later the castle of the Biberstein, in the place of a knightly residence. 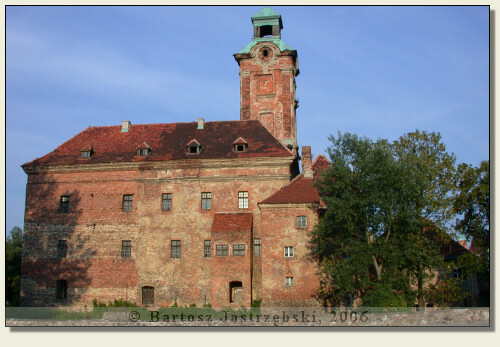 Two hundred years later, in 1558 von Promnitz, who ruled in Żary till 1765, obtained the castle. 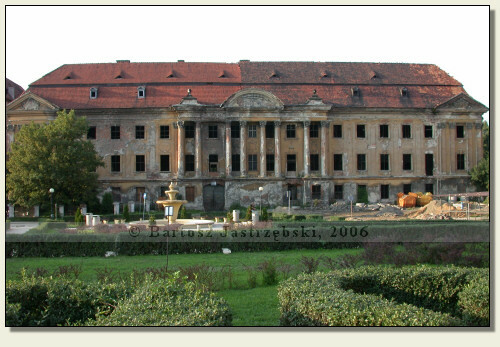 Originally they were converting 'the old castle', till the years of 1710-1726 when they built a baroque palace close by, called 'the new castle'. 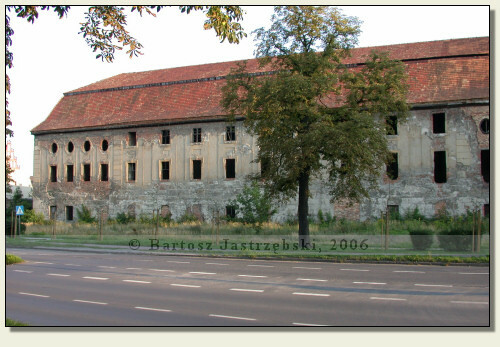 In 1815 both buildings came into Prussian country's hands and since 1824 the old castle served the function of a prison. 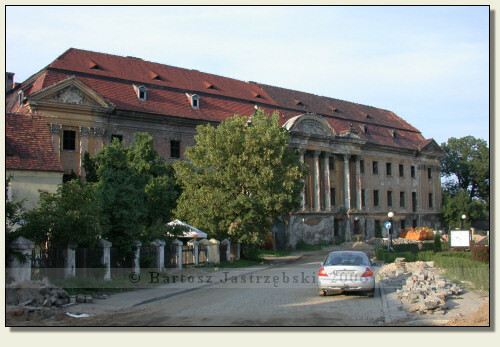 The fire from 1945 destroyed the monuments, which were consecutively secured and were covered with a new roof. 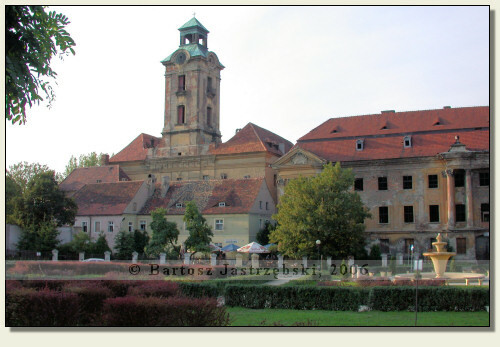 Since 1992 a palace-castle complex has been a private property.